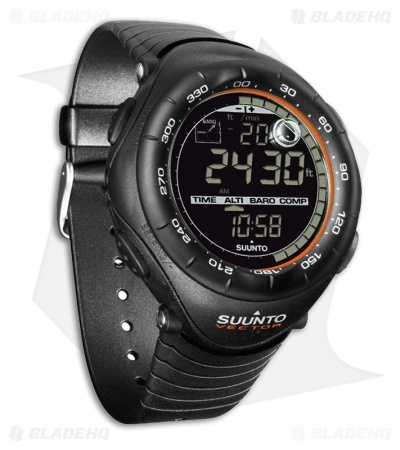 The Vector wrist watch from Suunto has been around for over a decade and is still the most legendary watch with altimeter, barometer and compass. 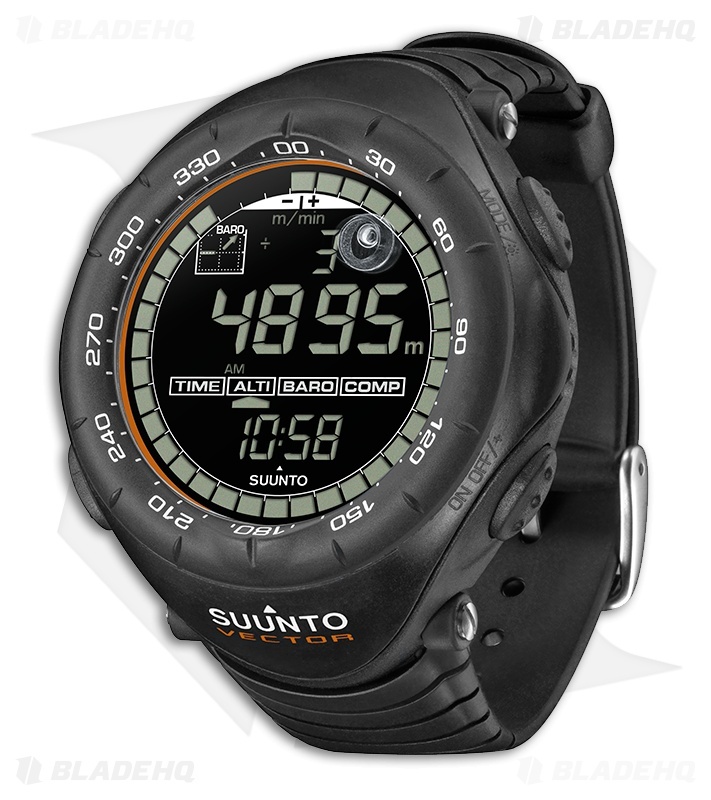 With technology and durability that can take on the harshest of environments, the Suunto Vector is the choice of professionals. The Vector XBlack model has an orange dial accent.